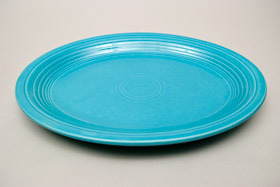 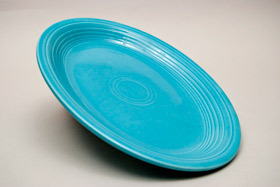 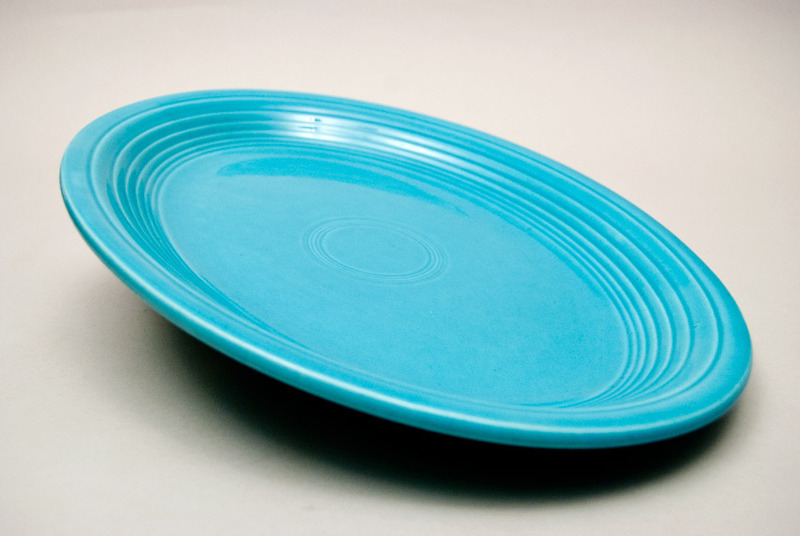 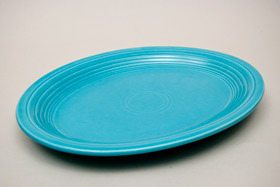 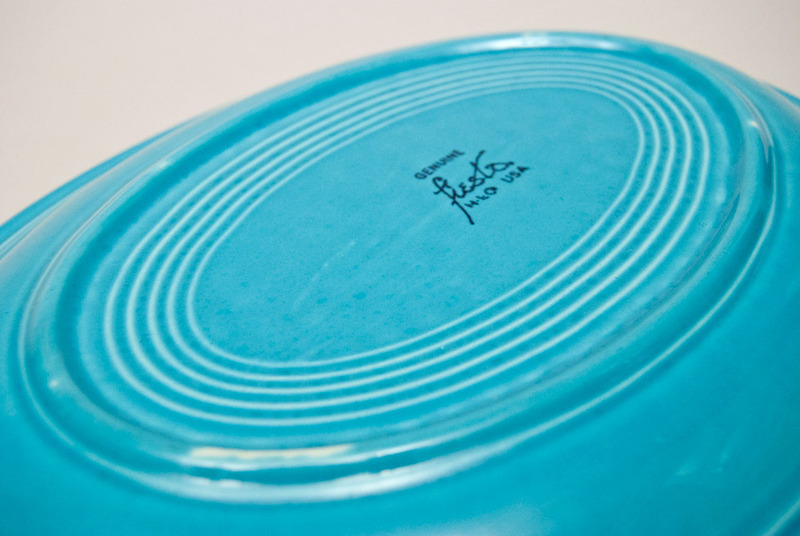 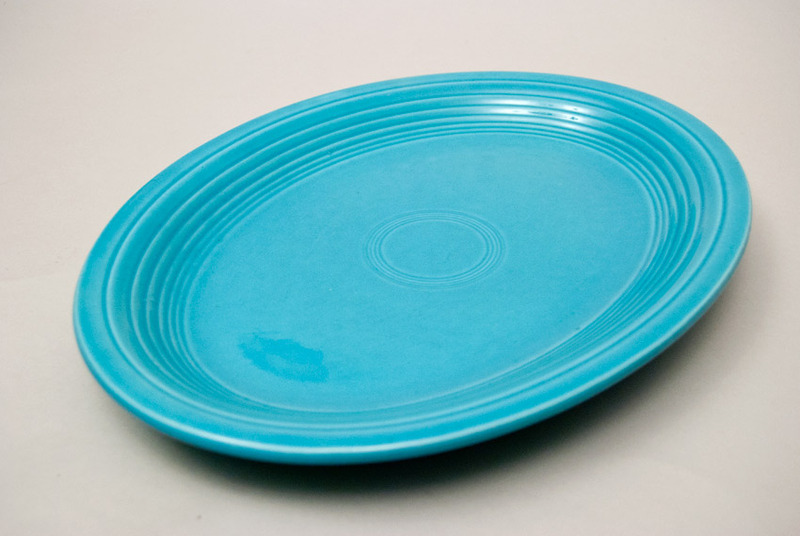 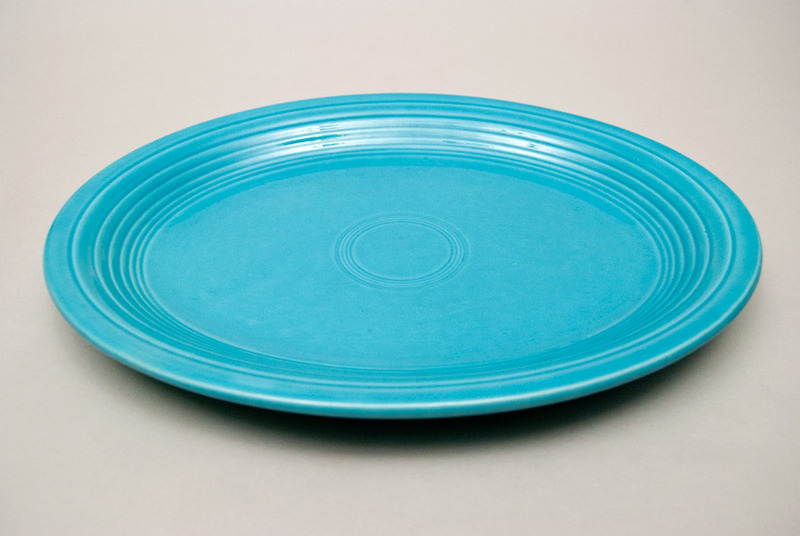 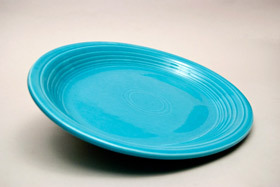 Circa 1938-1969: This Vintage Fiesta platter in the original turquoise glaze is in excellent condition. 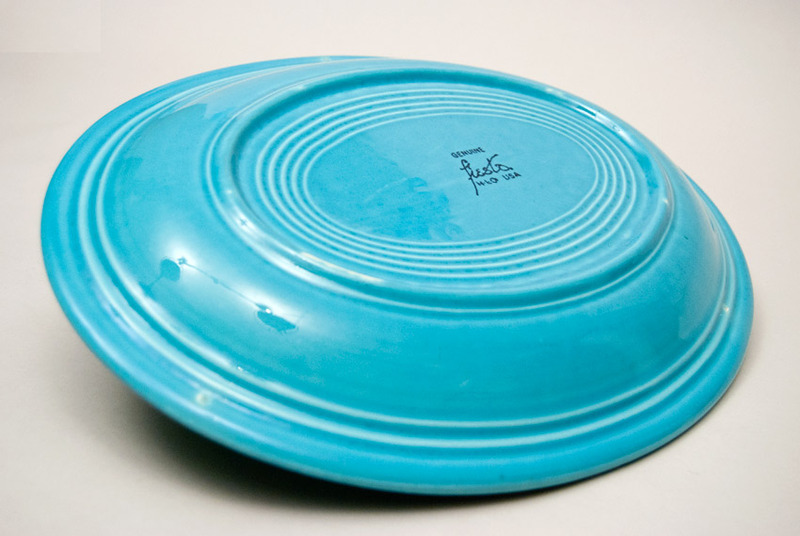 Without chips or cracks or repairs and little to no sign of use - this is what you're looking for when you want to use or display a vintage original turquoise platter in your Vintage Fiesta collection. Glazed stamp on the back "GENUINE fiesta HLCo USA". 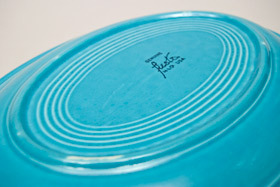 Measures 12 1/2" x 9 7/8"